I don’t know about you but once I hit my 30’s I started to notice a definite change in my skin. You know, those fine lines start to become, well… less “fine”. A few of my friends have had Botox with amazing results for wrinkles but I have always been a little weary of injecting fillers or Botox into my body. I know I am not alone in feeling that hesitation. When I read an article about VIVACE RF Microneedling I felt like it was maybe a little too good to be true. I had heard about Microneedling but never really knew what it was. After reading about the benefits I knew I wanted to give it a try. In full disclosure I was a little nervous about the “needle part,” but when Hebe Med Spa in NY offered to have me in for a treatment I decided to try it out. They assured me It would be virtually pain free (which for the record and to my surprise, it was!) I wanted to share with you guys in this post some answers to common questions about Microneedling as well as my experience with it. Microneedling creates tiny punctures in the top layer of skin that triggers the body to create new collage and elastin. The RF (Radio-Frequency) provides heat that stimulates collagen production, which has been found to lead to tighter, younger looking skin. When you combine the two they deliver tightening and contouring of the skin. The VIVACE device has 36 gold-tipped needles that leave micro channels open in the skin for 4-6 hours making it perfect to add your own growth factors or plant stem cells and other serums after treatment. It can address anything from helping to achieve a more even skin tone and minimizing wrinkles to helping scars and stretch-mark’s disappear. It tightens skin and also helps with your skins texture and elasticity. (And Yes mamas, you can do it on your stomach to help with stretch marks or even C-section scars). What was the treatment like and did it hurt? When I went in they first applied a numbing cream to my face and allowed it to sit for about 20 minutes. Once the cream had taken effect they use the VIVACE device which looks like a little wand that contains a tiny plate of 36 gold-tipped needles. They place the wand on your face and the machine inserts the plate of needles into the surface of your skin. It sounds scary but it truly wasn’t. They don’t go in very far and because the needles are so small, and your face is numb, you feel almost nothing. I mostly felt a tiny bit of pressure. There were a few areas that were not quite as numb and I did have some mild discomfort. To be honest though, I would say that plucking my eyebrows is more painful than even the most sensitive areas of Microneedling. For the next part of the treatment, I chose to use plant stem-cells as opposed to my own growth factors. If you want to use your own growth factors, it requires a blood draw. They then separate your growth factors out of your blood using a centrifuge machine. I am not a fan of having my blood drawn so I opted out of this and chose plant stem-cells instead (I still saw great results even without using my own growth factors). After they went over my face with the VIVACE device and all of the micro channels in my face were open they rubbed the stem cells in and placed a collagen mask over my face. The redness from the Microneedling had all but disappeared in only one hour. I was told not to apply makeup for 24 hours and aside from that I could resume life as normal. Right away I noticed my under eye bags looked so much better. I was not at all expecting this result as this treatment really isn’t for bags. 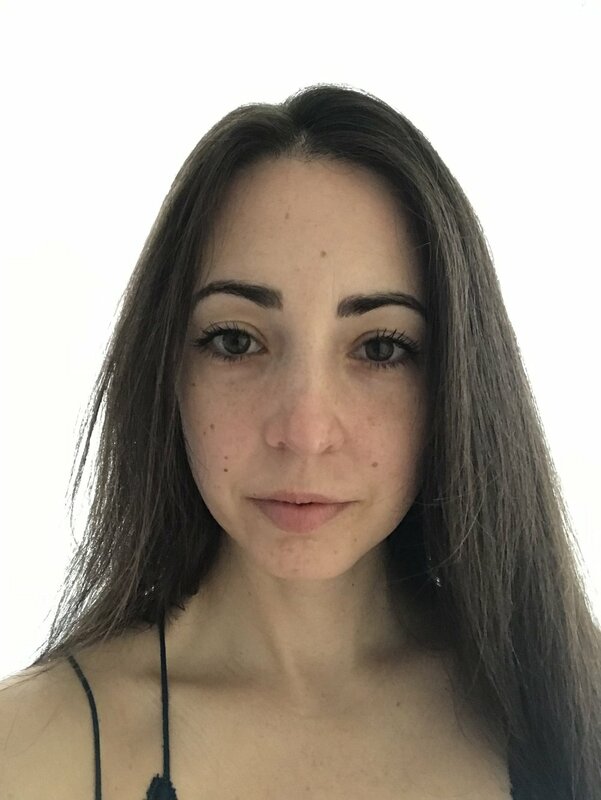 The device had worked so well to tighten my skin that it truly made a huge difference in my bags, but my whole face felt tighter in general (In a good way). I noticed that the rosacea on my cheeks was almost gone and my skin tone was far more even. Over the coming weeks I watched as my fine lines started to disappear and even my deep lines were minimized. By two weeks out, many of the fine lines around my eyes were gone completely or far less visible. The texture of my skin felt younger, tighter and my pores were smaller. Because this procedure causes your body to create collagen it actually reverses ageing as opposed to something like Botox that just covers it up for a period of time. I am now about a month out and I am still seeing the same improvement with my wrinkles. 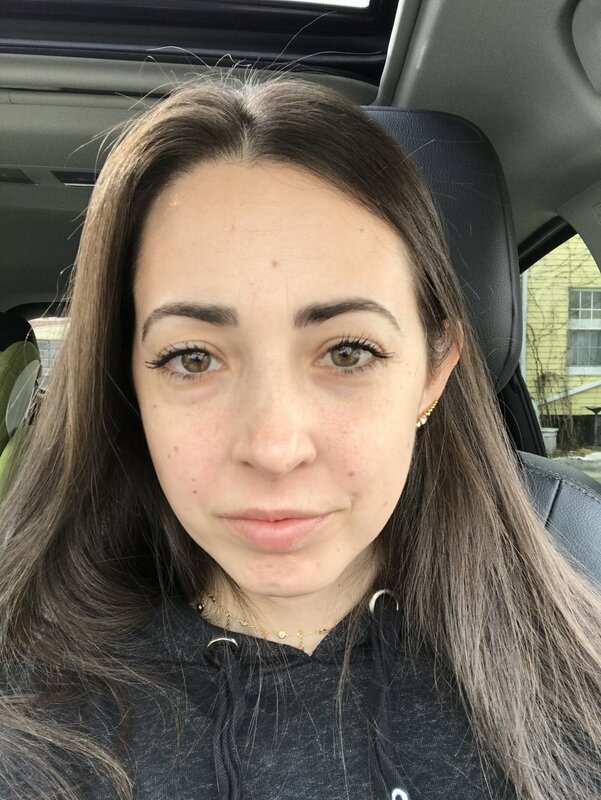 My skin does not feel quite as tight as it did the week after the treatment but it is still noticeably better than it was prior to the Microneedling. Overall, my face feels like it’s 5 years younger. I have been really happy with the results and would love to do this treatment 2-3 times per year to continue to prevent and reverse aging. The ladies at Hebe med spa have been so generous and are offering you guys 20% off any of their services with the code HEBE20. The med spa is located in Fishkill NY and very much worth the drive if you can make it out to them (accessible from NYC, many areas of NJ and CT). The girls there are unbelievably kind and make you feel so at ease. Honestly, I cant wait to go back just to hang out with them again!